Shopping at Betelli store is fast, confident and comfortable. PayPal, IAI Pay systems provide safety and comfort of payment. Product prices are gross prices (include Value-Added Tax) and each order is complemented with receipt. Delivery is discreet as we respect our customers’ privacy (and the fact that not everyone wants to reveal the fact of wearing elevator shoes). ATTENTION Measure your feet before choosing the size! 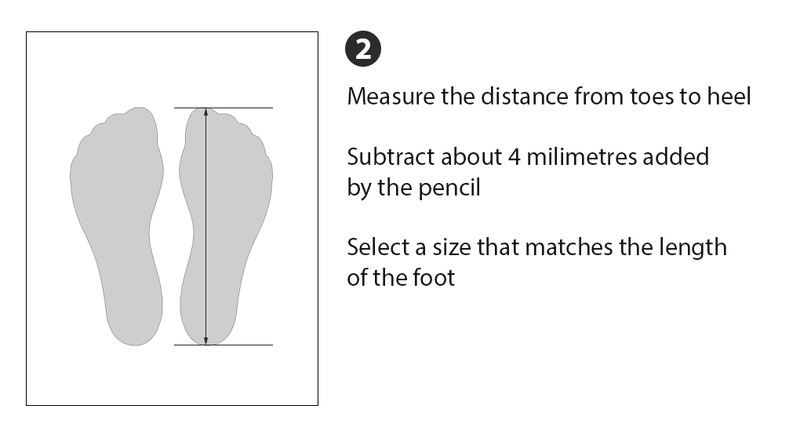 Before choosing the size of Betelli shoes, measure your foot first. Your regular size may not correspond to our lower size chart. 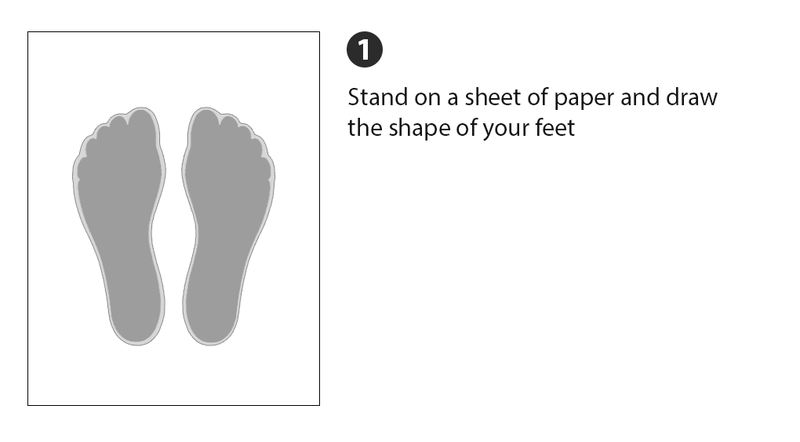 Draw the shape of your foot on the sheet of paper (keep the pencil vertically not at an angle) and measure the distance from toes to heel. Left and right foot may be different so measure them both to adjust the size of the shoe to the bigger one. Subtract 4 milimetres from the result to eliminate the space added by the pencil. Compare the final result with the length of the insole of each model (the insole length is shown in the size chart in the description of each model of the shoes). Choose the product and its size, choose the amount and add it to the cart by clicking "Add to cart" button. The summary of your cart always appears at the top-left corner of the site. If you are a registered customer and you have an account in our store, log in by clicking "Log in" button and confirm shipment details. If you do not have an account, you can crate it by clicking the "Register" option. You can always place an order without registering by clicking "Place an order" button and filling in a short form including shipment data and alternatively data for the invoice. Mark the chosen method of payment and shipment on the cart site. Confirm you choice with "Order" button located in the bottom-right corner. On the order summary site verify if all order data is correct. Confirm your order by clicking the „Place an order” button. Order confirmation will be generated automatically - on a given e-mail address you will receive your order confirmation with its unique number. We make every effort to ensure that orders placed in the Betelli.co.uk store are carried out as soon as possible. Most orders placed at the Betelli.co.uk store are sent within 24 hours on business days. b) the day of receiving the order – in case of the "cash on delivery" payment. If the order completion time appears to be longer, the customer will be informed about the delay and the further execution of order will be confirmed. We respect our customers’ e-mail boxes so we do not send mails informing about each stage of order execution. 2) After shipping the order, informing about the change of order status into "shipped".